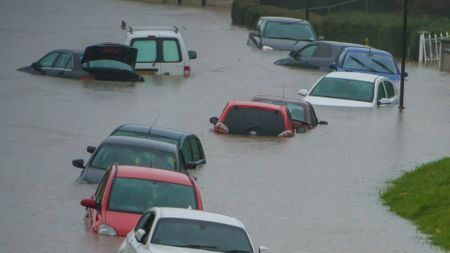 Floods have caused chaos in recent years, and it's possible flood-damaged cars could make it on to the used car market, but following our tips should help you steer clear of a potentially dangerous buy. Recent experience would suggest floods are as much an integral part of the British winter as Santa Claus and New Year resolutions. They can be terrible for anyone whose home is affected, but they also mean car buyers should be very wary. After all, we’ve all seen the pictures of cars sitting up to their windows in water. Not only are these cars potentially very dangerous, they could well find their way on to the used market. The question is: how can you spot a flood-damaged car in time to give it a very wide berth? You can start by following these simple steps. It’s almost impossible to properly dry out a flooded car, so have a good nose around for any damp or musty smells. Be wary if you turn up to inspect a car, only to find a window or two open: the seller may be doing that to disguise that tell-tale smell. 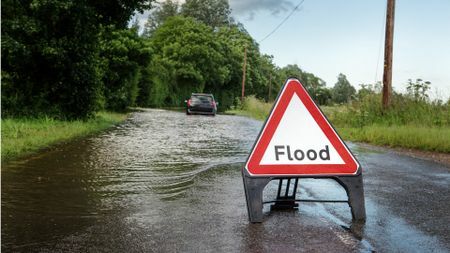 When a car is flooded, water is prone to gathering in areas like the footwells, the boot, and spare wheel wells, so check any carpets there for signs of damp. They could still be wet to the touch weeks or months after the car was flooded. You may even be able to spot a ‘tide mark’ inside the car if the car was submerged for a long time. Water can also gather in the ventilation system, so as part of your inspection of the car, turn the heating on, and be very wary if the windows start to steam up. It’s no great secret that metal plus water can equal rust, so have a good look around any car you’re considering buying – particularly on the underside and under the bonnet – for any signs of more rust than you would expect for a car of its age. Water can also wash debris and silt into a car, so keep an eye out for mud, sand and so on in strange places. Don’t just check the lights, check all the car’s electrical systems. Ensure the audio system is in full working order, that there are no warning lights showing on the dashboard when the car is running, and that all the lights and indicators work. Oh, and while you’re checking the lights, make sure there’s no water trapped inside them. One fault doesn’t mean the car is damaged, but more than one should cause any potential buyer to raise their eyebrows. The AA recommends looking at the oil under the filler cap. If there’s a white, mayonnaise-like deposit there, it means there’s water in the engine, which is not a good thing. 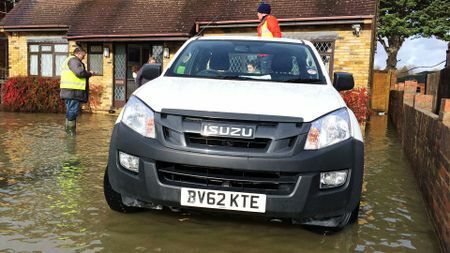 If the car has spent some of its life in an area that’s been in the headlines because of flooding, then carry on asking questions to find out if the car was affected. Should I buy a flood-damaged car? We certainly wouldn’t recommend it, as flood damage can have knock-on effects well into the future. 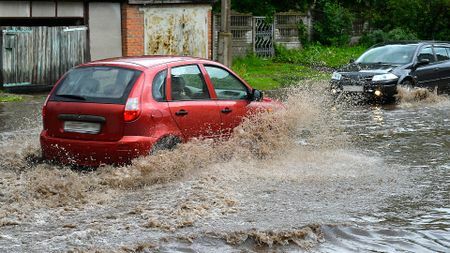 In other words, even if a flood-damaged car seems ok during an inspection or test drive, the damage may have shortened the life expectancy – and, quite possibly, the effectiveness – of some vital components, such as the brakes or airbags. If you know what you're doing, what work will need doing, and how much that work will cost, you could take the risk. But if you do, make sure you pay an appropriate price for the car.